This is the most recent information about Sweet Sensation that has been submitted to amIright. 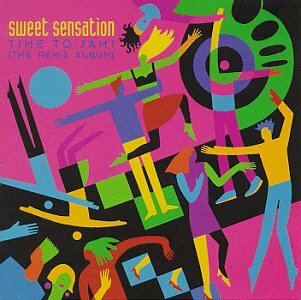 If we have more information about Sweet Sensation, then we provide a link to the section where it appears (the actual page whenever possible). "Sincerely Ours" originally "Sincerely Yours"
"Each And Every Tim" originally "Each And Every Time"
"Each And Every Tie" originally "Each And Every Time"
"Sad Sweet Reamer" originally "Sad Sweet Dreamer"
"Ever Let You Go" originally "Never Let You Go"
"Said Sweet Dreamer" originally "Sad Sweet Dreamer"
"Sincerely Pours" originally "Sincerely Yours"
"Sincerely Tours" originally "Sincerely Yours"
"Sincerely Hours" originally "Sincerely Yours"
"Sincerely Sours" originally "Sincerely Yours"
"Sad Sweet Dreader" originally "Sad Sweet Dreamer"
There are additional Sweet Sensation Combined Groups that haven't been done yet available. It's just one of those things you put down to experience. My grandma thought this was a lovely song but couldn't find it in the record shop. She asked behind the counter and then sang it (very badly) to the amusement of the staff.